The full Grievance and Appeal Mental Health and Developmental Services process is given to each person upon intake and given to each LCMHS consumer when their annual treatment plan is updated or their ISA review is done. Additional copies can be located in the reception area and Wellness Center, along with any LCMHS staff member. For a copy of the LCMHS Grievance and Appeal Form, click here. Under Vermont’s Global Commitment to Health, the Department of Vermont Health Access (DVHA) has established a process for you to resolve problems about your mental-health care and developmental services. For example, you might not like the quality of your services. Or you might tell you case coordinator that another staff member was rude to you. Or you might be dissatisfied because your treatment or service team changes the kind or amount of services you receive. 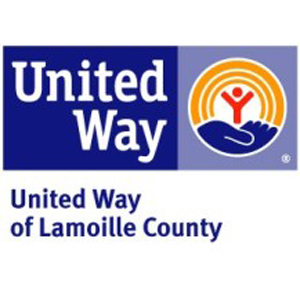 Lamoille County Mental Health Services has a Grievance and Appeal Coordinator and the staff at LCMHS will help you understand how the process works. If you need help filing your grievance or appeal or understanding the process, the staff will assist you. A consumer expresses dissatisfaction about aspects of interpersonal relations – rudeness, failure to be respected, staff not conducting themselves properly or the quality of care the consumer receive. The complaint is resolved in one response by staff. Complaints may be made orally or in writing by the consumer to any LCMHS staff. There may come a time when you are not satisfied with your services and want to take steps to address your concerns. You may do so in a formal or informal manner. To address your concerns informally, you could talk to LCMHS grievances, and appeals coordinator about a compliant you have. If you are not satisfied with the LCMHS response, you can then file a formal grievance or appeal. The definitions below will help you understand the difference between a grievance and an appeal. Denial of request for covered services outside Medicaid network. Grievance and Appeal Coordinators at Lamoille County Mental Health Services: Michael Hartman, Robyn Daley, and Jennifer Stratton.